The Hudson-Essex-Terraplane Open Forum is a service provided and supported by the members of the Hudson-Essex-Terraplane Club (https://www.hetclub.org) through their paid memberships. The intent of this forum is to introduce non-members to the Club and to encourage them to join and participate in our in-person meets. The H-E-T Club also has a club forum located at the club website (https://www.hetclub.org). Trunk/Cabin separator behind rear seat. '51 Hornet Resto - 12v conversion or not? 1929 Essex Carbs, 1 with W/ Heat Control,1 without. 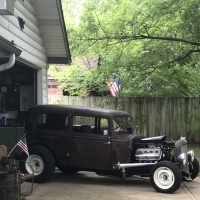 Interested in trades for 29 Hudson parts.